I watched Cody High last night. This is a documentary about the Detroit public high school that people from the Warrendale neighborhood would attend. The film itself focused on what happened when students there went through the Life Remodeled Project a few years ago. The Life Remodeled Project was an ambitious philanthropic project that was conducted in the area. It attempted to identify challenges and opportunities in every aspect of a students life at Cody High; not just those that directly impact their academic performance. For example, if a student is experiencing serious problems at home then it's inevitable that those problems will bleed over into their schoolwork regardless of how much teachers may try to isolate them. The Life Remodeled Project sought to address the challenges that these students face on a holistic level. Moreover, since this was shot during some of Detroit's darkest days, there were a lot of problems for them to work with. I like that this documentary had enough grittiness in it to be authentic yet still captured the hope that permeates Detroit. I highly recommend watching it. 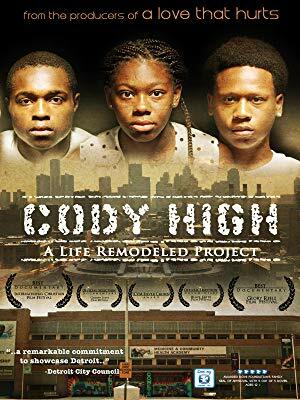 I found Cody High on Amazon Prime. However, it is probably available elsewhere as well.